Learn, Grow, Think... Outside the Box! Chut HaM'shulash (an Israel-based entity) hosts an on-line classroom each week at 11:00 PM Jerusalem Time, on Mo’tzash (after Shabbat). Chut has hosted over 400 weekly Webinar classrooms, and invites you to join us this coming Motza'ei Shabbat (Saturday evening, after Shabbat), live from Jerusalem. To register and reserve your Webinar seat, simply request an invitation by filling out the Class Registration Form below and clicking the word Send. This system cannot process a request for an invitation to join the Webinar, by providing only a telephone number. You must provide an email address. Webinar seats are accessed via links sent out by email only. Reserve your CLASS INVITATION today! Below are sample starting times, taking into account certain international time zone changes. Any new participants are invited to audit our classroom, in order to familiarize him/herself with the purpose, content and methods of teaching that we employ during the Webinars. Participants who wish to continue studying with us, are asked to consider contributing whatever they feel is appropriate for them, in the form of regular monthly donations, in order to offset our expenses, and to help keep us on the air. 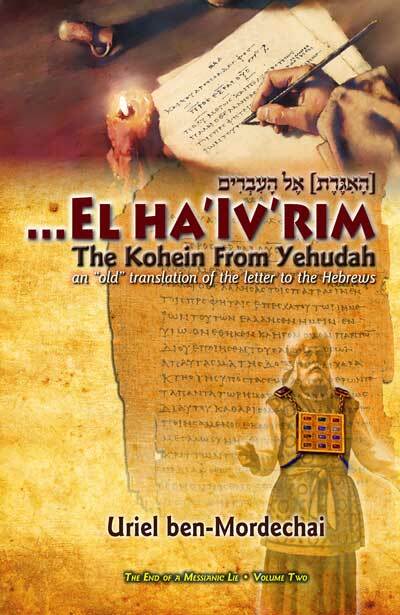 [the Letter] "to the Hebrews"
Finally, a translation produced with a Jewish pro-Torah bias, published from the Eternal City just as the Prophet predicts… “out from Tzion the Torah shall go forth, and out from Yerushalai'im, the Word of HaShem” [Yishaiyahu 2:3]. The time has come to take “El Ha'Iv'rim” back [home]! After all, it was addressed “El Ha'Iv'rim” [to the Hebrews], and not, “El Ha'Goyim.” The core message of this letter has for too long, been manipulated and changed into concepts our Torah knew nothing about. But Today, a Torah-compliant Messianic hope is reborn. What does it say, and how does it sound? Perhaps it's time to find out! 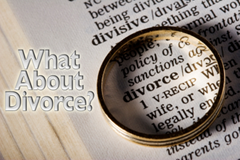 In this three part series, Uriel dives into one of the Christian church's most inaccurate teaching on the subject of divorce. Discover how the phrase "G-d hates divorce" allegedly found in the Prophet Malachi, Chapter 2, and the supposed solitary justification for divorce in Matthew 19, are concepts that simply do not appear in the biblical text. This message will not only bring peace to those individuals who have been plagued by the guilt of divorce, but complete freedom from the labels placed on entire families of this devastating doctrine. Click HERE to go to the purchase page for this important audio series.